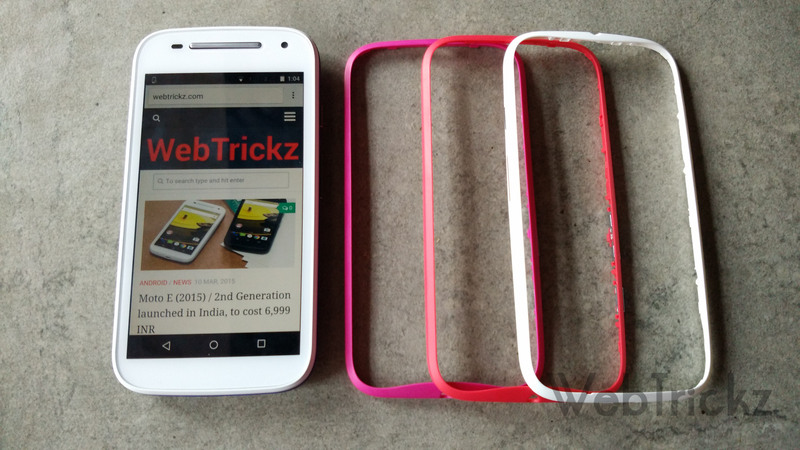 Moto E – few things that come to our mind when we hear this is ‘budget friendly’, ‘cheap’, ‘basic features‘ and such. But Motorola has always been about delivering good quality phones regardless of the price range in which the phone falls into, and Moto E is no different here. 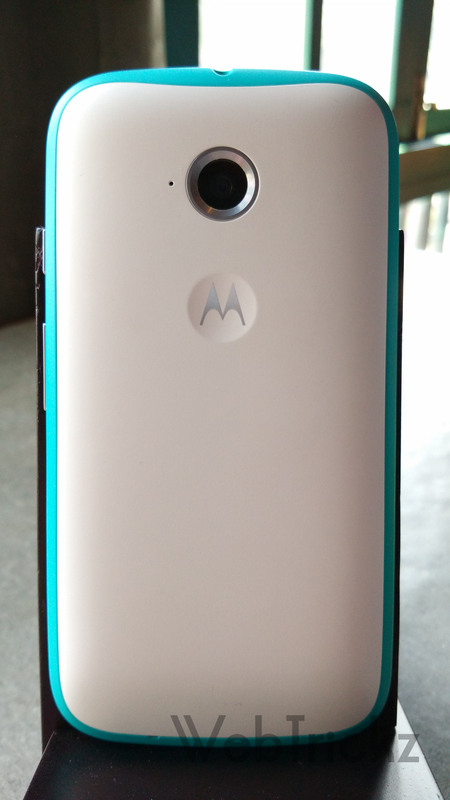 Companies like Xiaomi and Lenovo have been undercutting by adding more features and higher specs around the same price range but Motorola will stay on course with its plans – 6999 INR is where the 2nd Generation Moto E would also fall into. But is it just improvements in the software and the specs? Not at all. 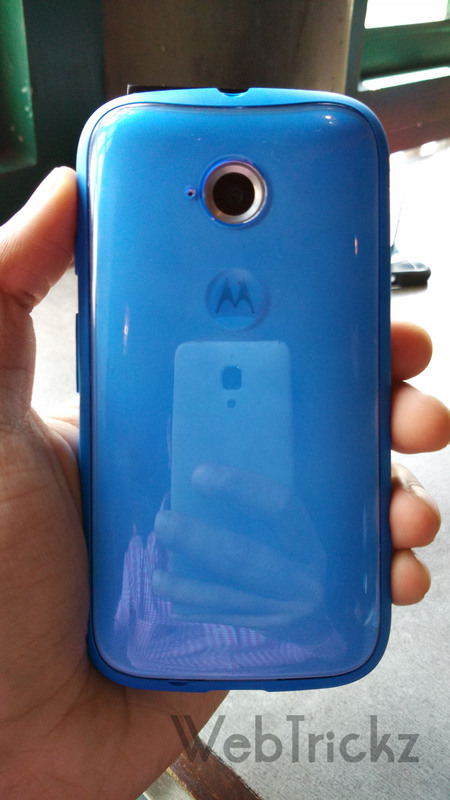 Motorola has thrown in some cool goodies which at that price range will be highly appreciated by the crowd. 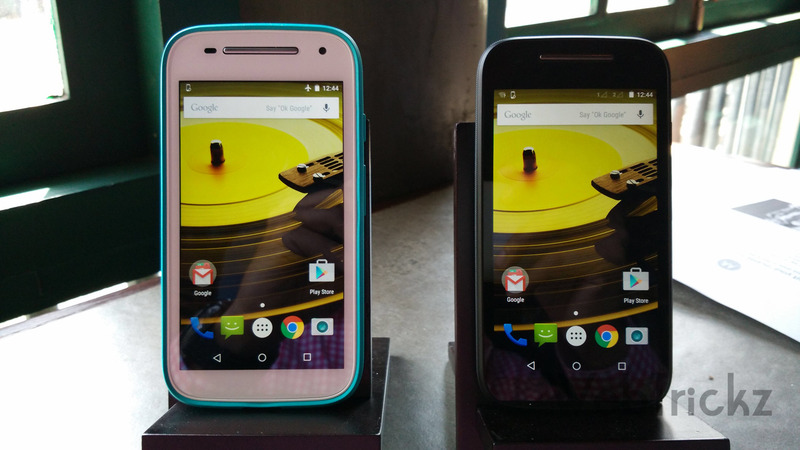 ‘Let the fun begin… just add color’ is what Motorola wants to say when they talk about the new Moto E, for they’ve introduced the ‘Color Bands’ option for the phone that lets you choose and pick among a range of colors and strap it on the phone! And we were truly impressed the way in which these color bands can make such a difference to the looks. The ladies may love this to match their attire as they go about their day! 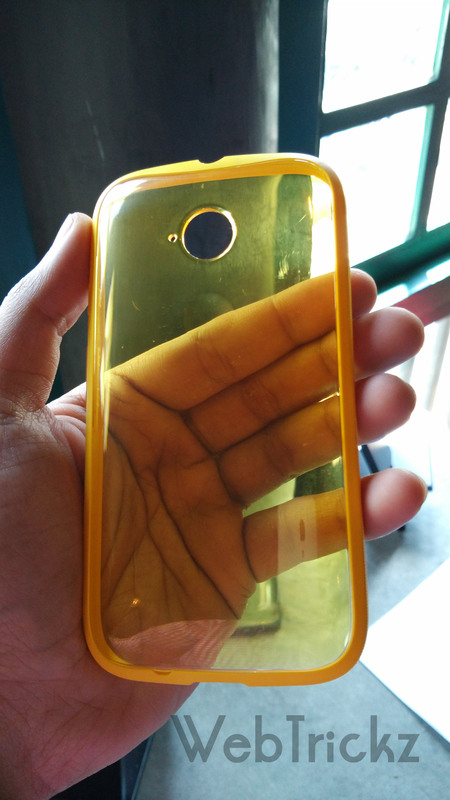 And everyone else too, after all who doesn’t want to change the looks of their phone or make it colorful. 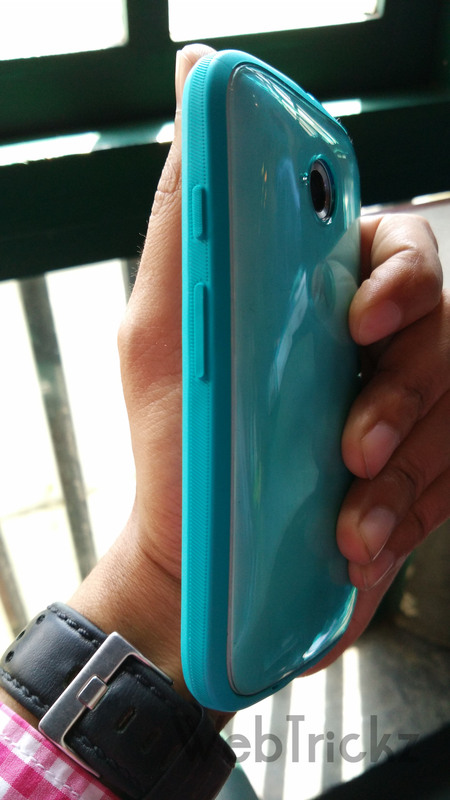 Check out how good the combination of the Cyan band works on the black Moto E, and the white one as well. These bands infact takes the phone off the notion of ‘cheap’ phone. 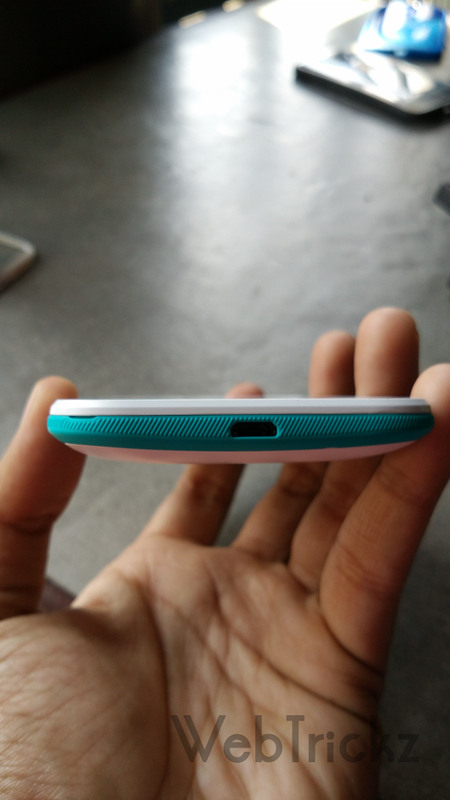 Kudos to Motorola on this design as it is so easy to work with the bands, as there are buttons on the side and if it ain’t proper one can risk the buttons getting damaged. 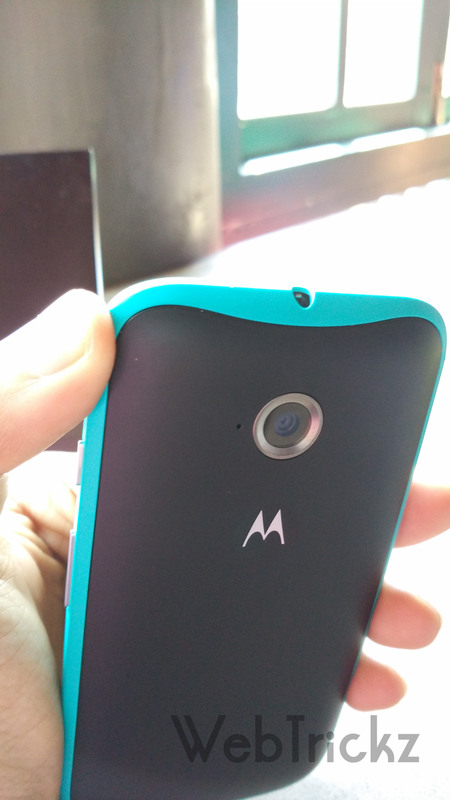 – A pack of 3 bands for new Moto E costs Rs. 999. One pack includes (Turquoise, Purple, Raspberry) and other includes (Red, Blue, Yellow) colored bands. 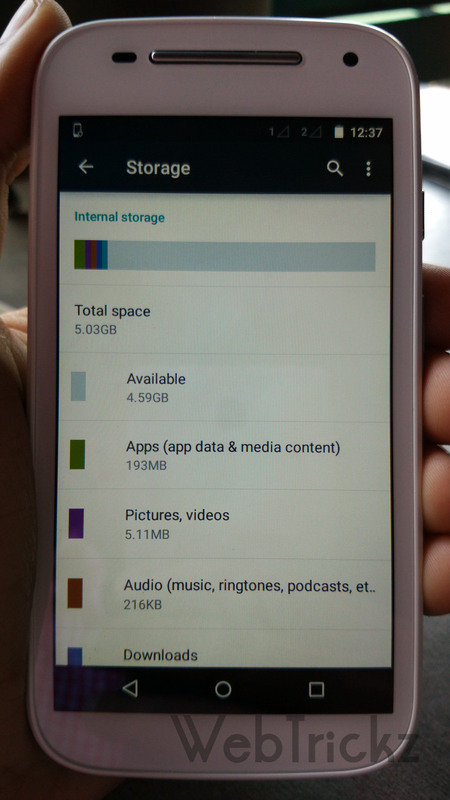 The new Moto E comes with the all new vanilla Android 5.0.2 Lollipop and we managed to spend some time with the phone, that comes with a Qualcomm Snapdragon processor with a 1.2GHz quad-core CPU and advanced graphics. We are happy to report that the overall UI is snappy, touch is super responsive and one must have no issues on a day-to-day usage. Of course you cant push this tiny little fella into playing high end games or open some 20 apps and start complaining about slow responsiveness – the Moto E is NOT meant for that kinda usage. We played around with the camera and found it to be fast and snappy. 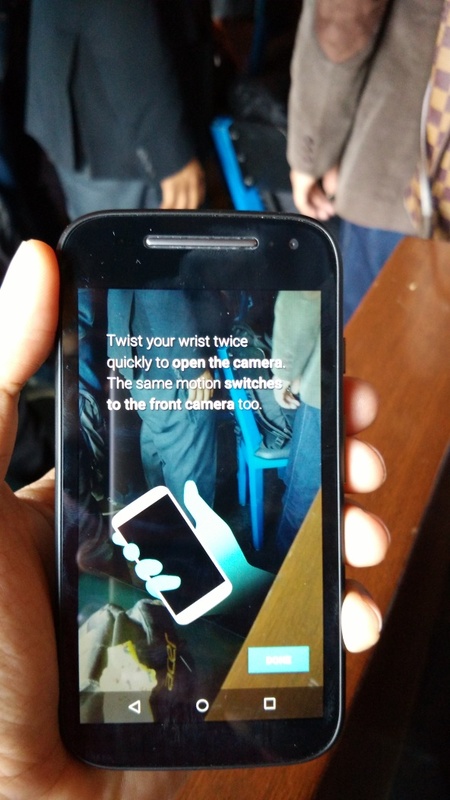 With two twists of the wrist, you can launch the camera with Motorola’s Quick Capture feature. 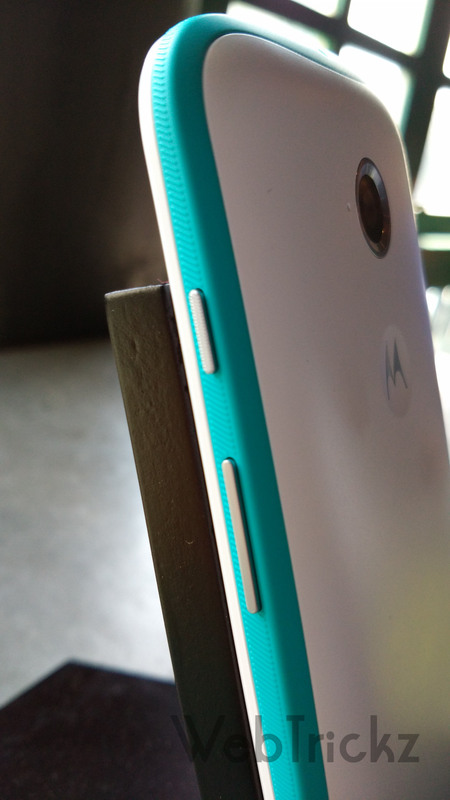 And for selfie lovers, just twist your wrist again to switch to the front-facing camera. All without touching the screen. 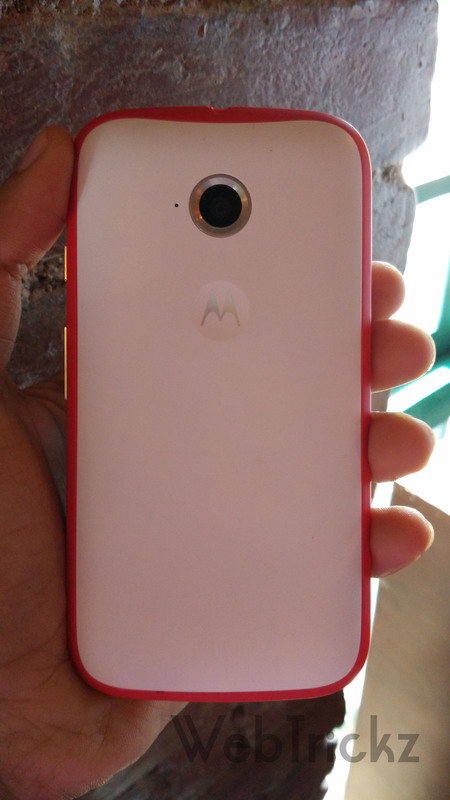 For 6,999INR Moto E will have stiff competition from rumored Redmi 2 and Lenovo A6000. With a vanilla android that runs so smooth, improved battery performance, probable 4G variant later and the new color bands provide a new set of flavors to the Moto E. Our initials thoughts are positive with the look, the feel and time spent with the device, it is fair to say Moto E is worth every penny of 6999 INR you’d pay – Easy on your pockets, easy into your hands. 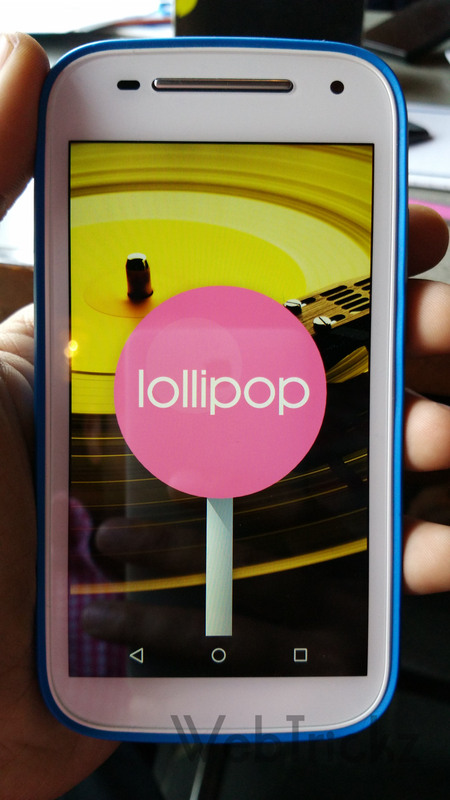 We will be back with a detailed review across various aspects of the phone. Stay tuned!